Dust off your book jackets, click some tunes and get ready to have some fun as one dimensional media turns into a multi-platform conversation! Launching March 1st, in time for National Women’s History Month, the new “readergirlz” web site bonds gal pals in “Sisterhood of the Travellin’ Pants”-style friendship, as YA books turn into a full blown digital media experience. Each month, novel ideas literally come to life as girls take a book’s message and apply it firsthand. This concept seamlessly blends art into action, so I love this use of social media. Shaping Youth caught up with one of the readergirlz founders, Lorie Ann Grover via our own blog comments, prompting this interview and an upcoming podcast on how these ‘readergirlz divas’ are adding new layers of richness to girls’ personal reading, inspiring thoughts to spring from the page into real world actions. Just as Dove’s evolution ad ignited the teen body image zeitgeist, the readergirlz community has the potential to spread like wildfire as sort of ‘lit-therapy,’ celebrating strong, courageous girls who speak their mind, and engage on topical touchpoints like identity and media messaging. Stodgy stereotypes of teen librarians? Gone. They’re podcasting and blogging big time. Literati? Sharing books on Shelfari and Library Thing. YA reading? Readergirlz gives it a multimedia makeover so girls tap shared book and life experiences, learn from each other, relate peer to peer, and stir up their own self-awareness in the process…I’m eager to see how this all plays out, as there’s no doubt good words can spark good deeds. The vision of fresh new voices making a difference in their communities inspires me, and fits with our own goals here at Shaping Youth, using the power of media for positive change! Mind you, the authors teaming up to host online appearances and suggest fabulously fun book party ideas is an act of marketing elegance, but this clearly goes well beyond the books the authors have written themselves, so they’re not just shilling. This team of hot authors ditch the darkness and gloomy preach-n-teach to open up a positive forum where kids can be themselves, get to know each other, and find their own voice, strength and beauty. They also reveal their own personal truths and motivations for writing, explore the nuances of their craft, and give girls a behind the scenes peek at the art of their profession; creating a mindful niche of universally shared intimacies. Stellar organizations like Packaging Girlhood, Daughters, New Moon, TBIO, SeeJane, and media mavens everywhere can think of this hub as a handy pre-screened ‘recommend’ list…like having a tight group of global girlfriends. I can speak to this firsthand, since my daughter’s book club just selected “On Pointe” as their next read, and even backordered the hardback trying to find it. Unbeknownst to me, On Pointe was written by readergirlz author Lorie Ann Grover based on her own life as a ballet dancer. We got a good laugh out of that one; life collides in serendipitous ways! Stay tuned…this is one talented team to watch. Shaping Youth: How do you think media & marketing shape youth, and where does reading fit into the mix? Lorie Ann: Media touches us all. As astute and savvy as today’s teens are, they may not be fully equipped to counter messages they find themselves entertaining and embracing… ideas that with further thought they might rather reject. Dialoguing about the media, talking about messages and intent, can equip a young person with the tools necessary to weigh the information before assimilating it. The power of literature, particularly literature written specifically for teens, is that it puts an unwavering spotlight on tough situations, including choices and their corresponding consequences. Literature gives teens a safe way to explore their own values and decisions in a changing world. Readergirlz is a positive forum for this self discovery. Shaping Youth: As YA authors, how did you all come together and find each other to create readergirlz? Justina: When I was out on my book tour last spring, I made an effort to visit urban areas (high schools & community centers) that couldn’t otherwise afford an author. I was shocked and heartbroken–all these incredibly insightful kids with impoverished libraries and schools. I knew that I could figure out a way to provide teens–regardless of their socio-economic situation–with a rich author experience. So I approached three critically acclaimed and philanthropically minded YA authors–Dia Calhoun, Janet Lee Carey, and Lorie Ann Grover–to start readergirlz. And here we are! Janet: A gutsy girl in literature is someone who faces the challenges the story throws at her (usually pretty tough ones). She takes risks, faces failure and success, learns to rely upon herself in ways she never imagined, and discovers who her real friends are. By the end of the story, she steps out into the world a stronger, gutsier girl. As for our readergirlz members, we hope and expect no less from them. We know teen girls today have some tough choices ahead of them. We also know how smart and strong they are. We believe each and every one of them is a gutsy girl, and we’re here to help them with great literature and great community service ideas. Shaping Youth: How often do you select books, and how will the site work? Lorie Ann: There will be a new book selected and celebrated each month on the web site. We’ll announced it on our MySpace group too, along with discussion questions, and interview, and book party hosting ideas right down to the menu, playlist, and decorations. A community service project will be offered to motivate readergirlz to action, and of course readergirlz will be in full dialogue on the site, sharing their impressions of the book, telling everyone how they implemented the community service project…that kind of thing. Shaping Youth: So when you talk about service projects, and community tie-ins, what specifically do you mean? Can you give an example? Justina: Sure! The first featured book happens to be mine, Nothing but the Truth (and a few white lies), which includes an ugly racist incident. One of my favorite websites is Tolerance.org, an organization that funds grants specifically for teens to shake up social boundaries at high schools…So we’ll challenge readergirlz to think of creative ways to break down social, racial, and socio-economic lines at their own schools–and to apply for Mix It Up grants so they can impact not only themselves, but also their classmates. Now, take this and multiply it by 12 books and 12 community service projects over a year, and you can just imagine all the wonderful ways we hope to activate teen girls to make a difference, whether it’s encouraging healthy body images or healthy minds or self-acceptance. Dia: First, readergirlz will feature YA books with strong female characters, and we look forward to discussing them in our forums on MySpace–teens can talk with each other and with the author about the characters. Our suggested book party–outlined in each issue each month–is another way to celebrate the book and character. Second, good literature changes the way you see yourself. I know that for me personally, seeing how strong female characters in books face their challenges and find their dreams always opens up new possibilities in my own mind and heart about ways that I can deal with my own life. I hope that will be true for teen readers as well. Third, as far as inspiring girls to have the guts to make history of their own, readergirlz hopes to do that by encouraging girls to engage in community service projects related to each book. We hope the books will stir readers’ passions and inspire them to do great things. Shaping Youth will definitely champion the efforts of this cause, and spread the word to groups like Hardy Girls, Girl Zone, Girls For A Change, My Pop Studio (a great girls media literacy site!) Zoey’s Room, and other smart sites devoted to girls thriving and growing in an ever-changing media world. 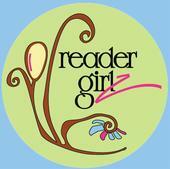 Get out your bookmarks for readergirlz…online AND offline.